Everyone with a child in the school is automatically a member of the Friends of Girton Glebe (FOGG), our version of a school PTA. The aim of FOGG is to raise money for the school by providing events which are fun for parents and children and which provide a focus for staff, as well as bringing the school community together with their varied calendar of events. FOGG has successfully applied for charitable status, enabling us to accept gift aid donations. 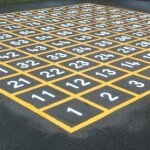 Major financial contributions given to the school in previous years include the Millennium Garden outdoor classroom, Mathletics (an online resource) for every pupil, new playground markings, school environment enhancements, library furniture, and activities and reading books for each classroom. FOGG have also generously given their time for improvements including: the nature & pond area, the inner courtyard, library cataloguing and painting the swimming pool area. FOGG also pays for extra treats for the children, such as a leaving party for Year 6 children and their families, visits by theatre/music groups, maintenance and heating of the school pool and coaches for events/trips. Regular events include: Jumble Sales, the Christmas Fair, Children’s Discos and the Funathon (a summer term sponsored event) with other events including a Family Ceilidh, Quiz night, themed Girton Feast picnic and more. FOGG meetings consist of parents, the Headteacher and teacher representatives, and the group meets once or twice a term to organise events. All parents are welcome; please contact FOGG via the school if you would like to find out more about either being on the committee or being a Class Representative (Rep). Each class has at least one FOGG Class Rep. They keep the class informed of FOGG activities, co-ordinate helpers at events, and can attend FOGG meetings and input to plans. We also require ad hoc support at the different events, for example stewarding at events, selling drinks at the disco, setting up the Jumble Sales and Christmas Fairs. Please sign up to help at these events – they are a great way of meeting other parents. We look forward to seeing you there! Our fantastic Class Reps for Autumn 2018 – Summer 2019 are listed below, please chat to them!